^ Pelcin, Andrew. W. (1996). "The effect of core surface morphology on flake attributes: evidence from a controlled experiment". 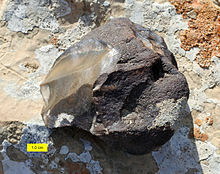 Journal of Archaeological Science 24:749-756. ^ Morrow, Juliet E. (1997). 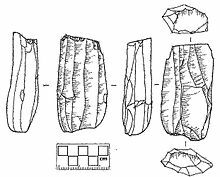 "End Scraper Morphology and Use-life: An Approach for Studying Paleoindian Lithic Technology and Mobility". 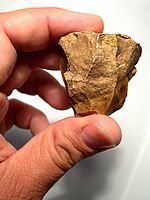 Lithic Technology. 22 (1): 70–85.